Create new looks for your living room by these simple tips called “mix and match”. 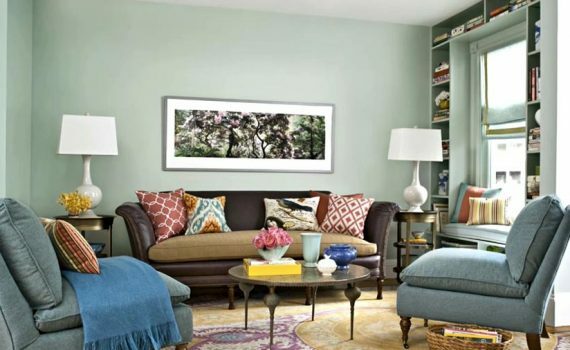 Wonder how your living room would look like if you changed your sofa, or your rug, or took down that painting? Well, here’s some help. -If you want your sofa to look more comfy and inviting, throw pillows would be a lot of help to make it more presentable. -Cut stems on a glass vase are a nice touch to a simple coffee table. -To brighten up your room, some colorful Machuca tiles can help you ease it out. -Put a glass cabinet for accessories and for extra seatings, a lounge chair would be perfect on the side. -A room’s ambience can be instantly changed by curtains and a carpet. -You can easily turn your basket stools into a coffee table just by putting a clear glass piece on top. -For your new coffee table, make a pink resin vase and a lantern for it. -Place a narra cabinet and a tripod floor lamp on the side. -Complement the red artwork with other fun pieces like lamps bought from your favorite store. -Replace the sofa with a shapely and cozy love seat. -Potted pink pineapples on top of an isolated coffee table can make it look more pretty. -Stools can be a good adding and replacement if you need extra seats. -If you need more light, a floor lamp can act just like a chandelier for your living room. So why not try it? -Convert man ottoman into a cocktail table. Complete the look with a multi-purpose tray and finial boxes in various colors and sizes. -For a nice conversation piece, the twig side table is a perfect place. Now who wouldn’t love the elegant lounge chair and sofa?